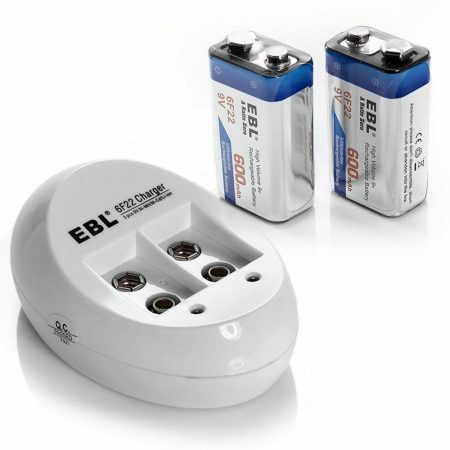 This EBL rechargeable battery and charger combo kit includes 8-count 16340 RCR123A rechargeable batteries and a Lithium ion rechargeable battery charger. 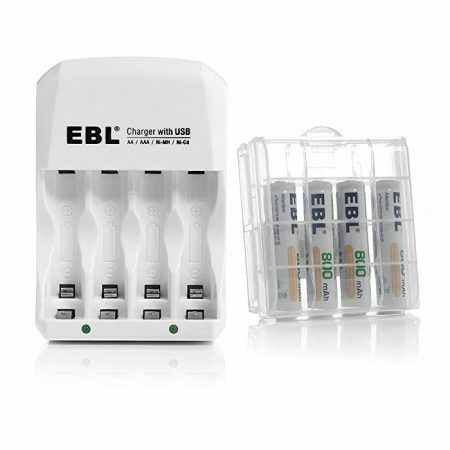 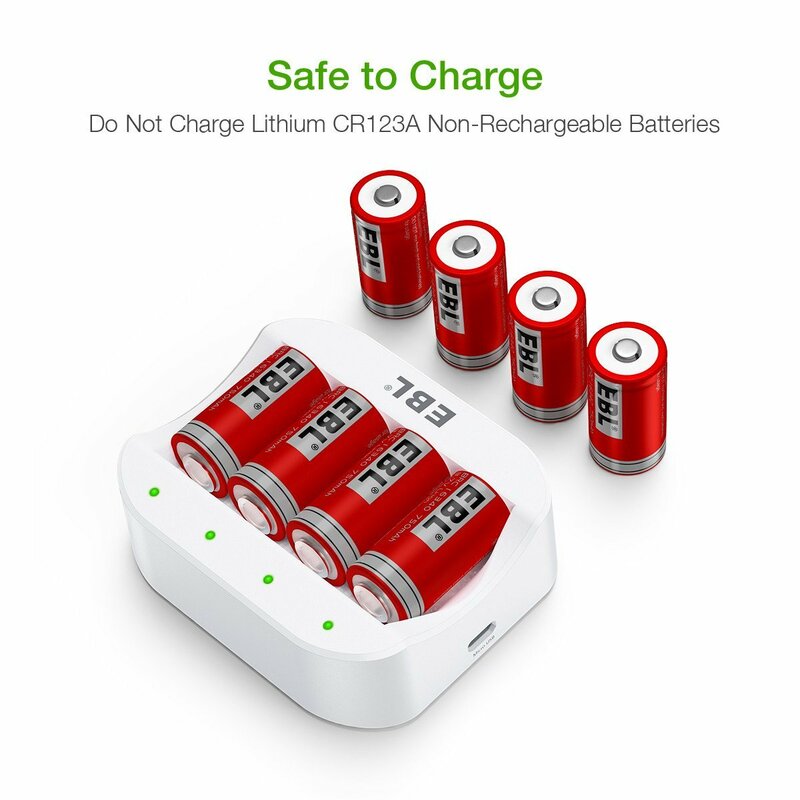 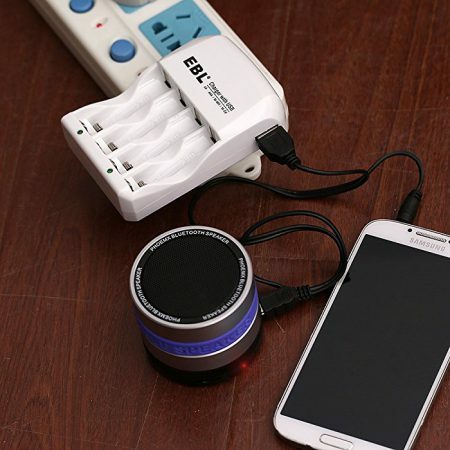 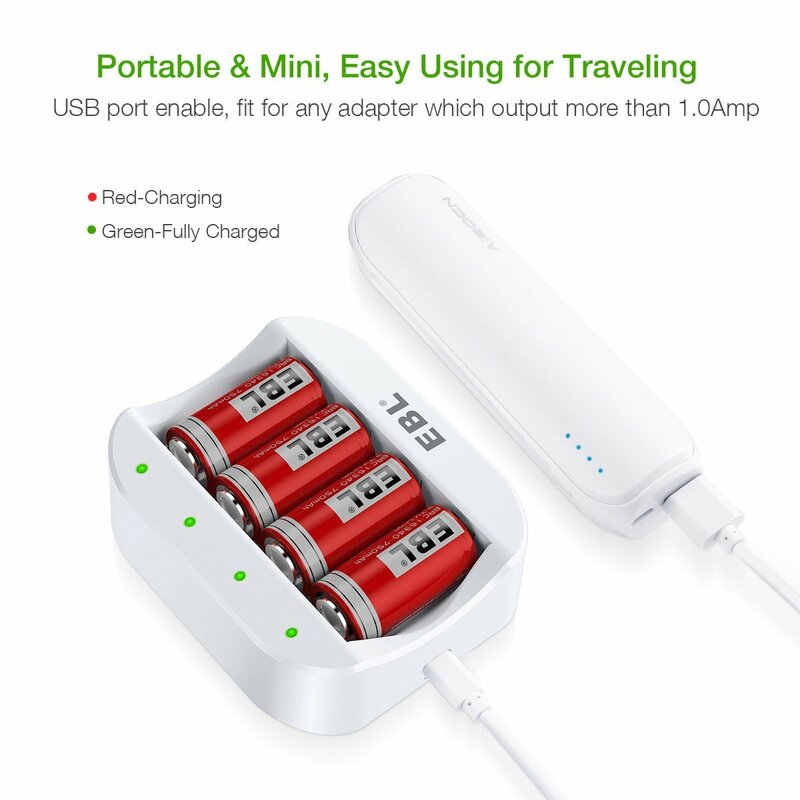 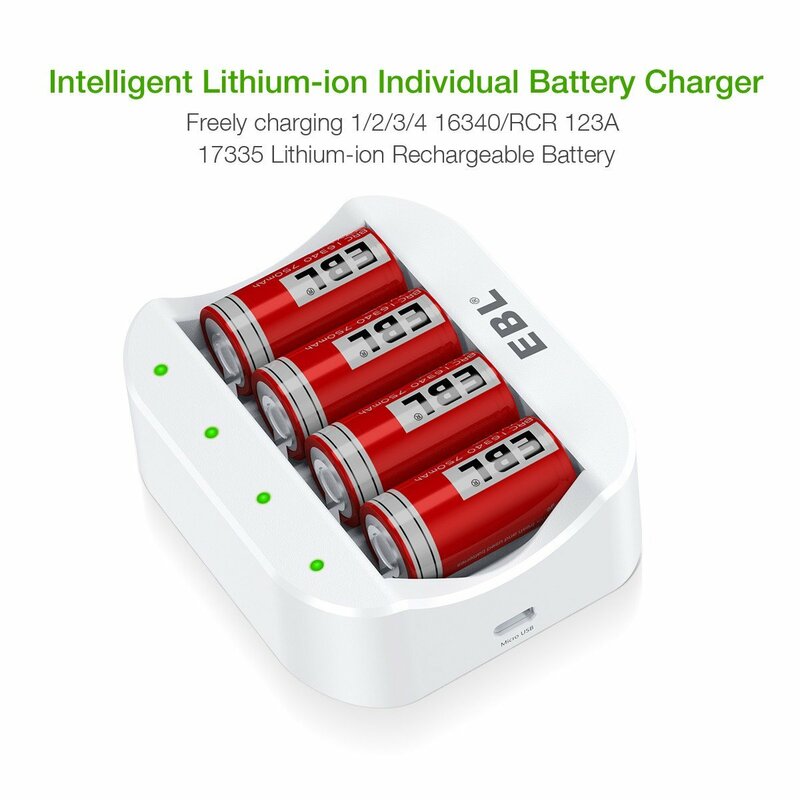 The smart charger has 4 independent charging channels which allow you to charge 1 to 4 pieces of RCR123A/16340, 17335 lithium-ion rechargeable batteries simultaneously. 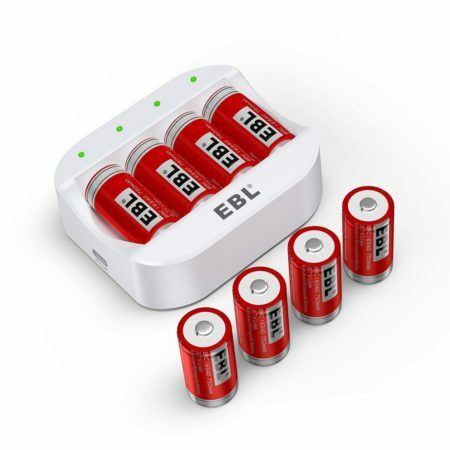 These 8-count RCR123A 16340 batteries work for Arlo VMS3030/3230/3330/3430 Security Cameras perfectly. 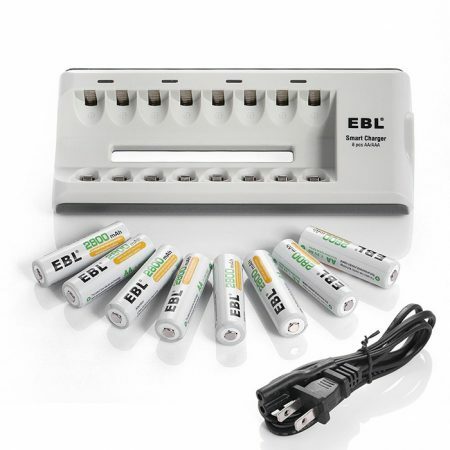 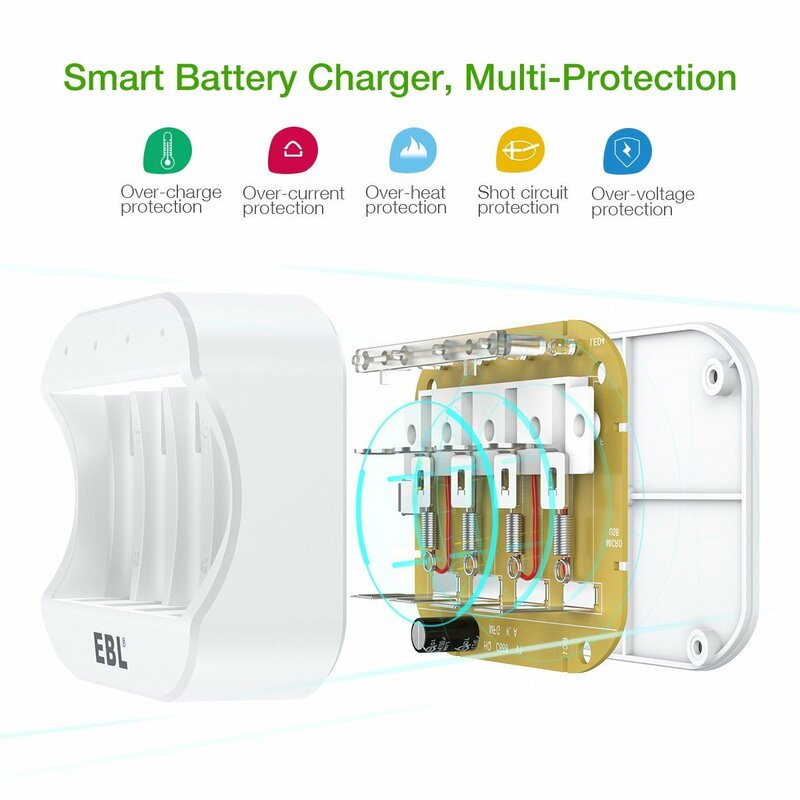 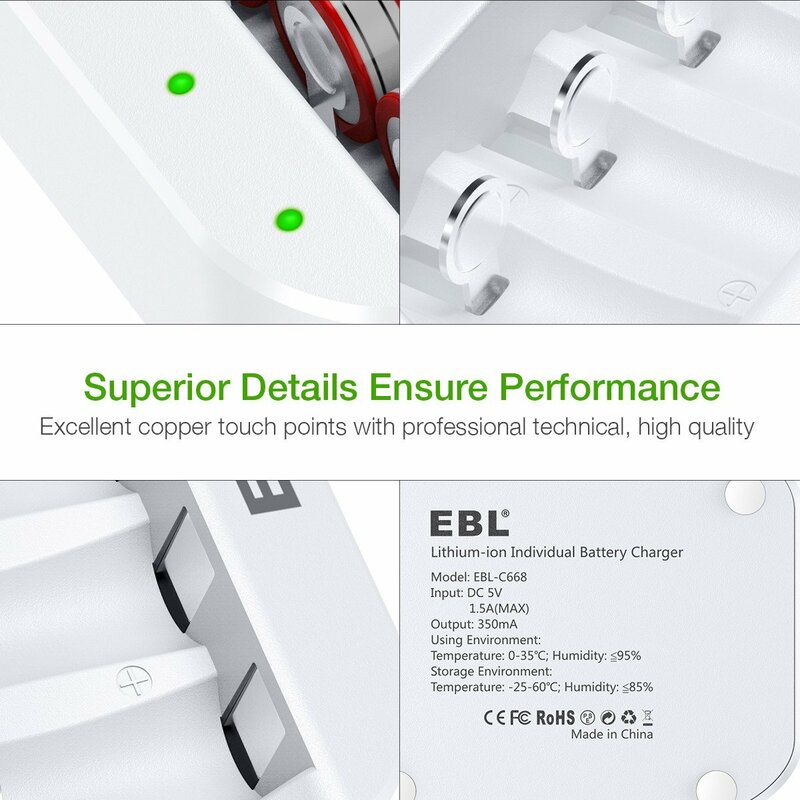 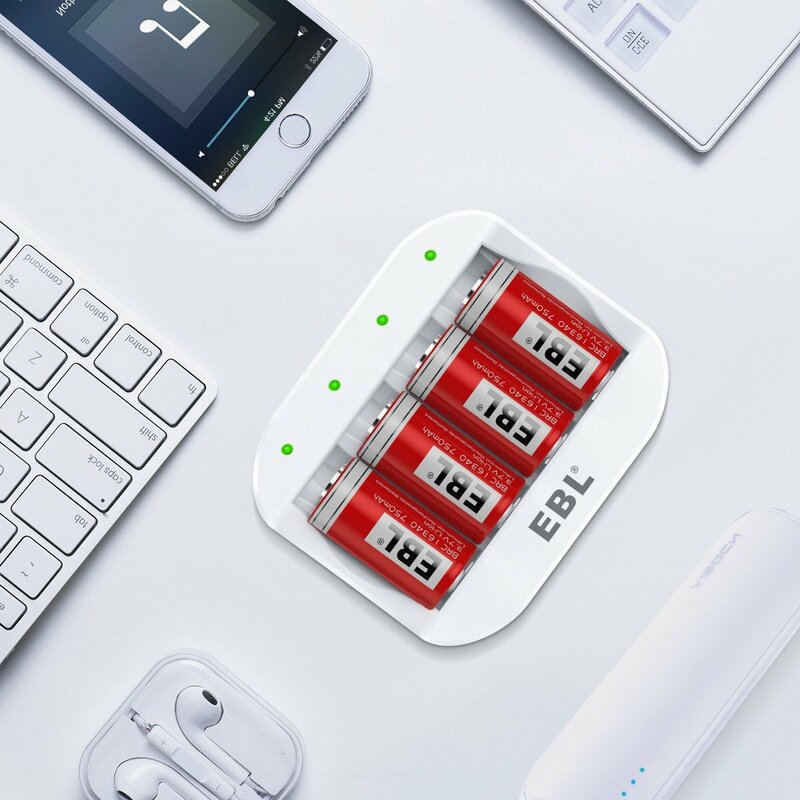 EBL uses supercell lattice technology for the rechargeable batteries. 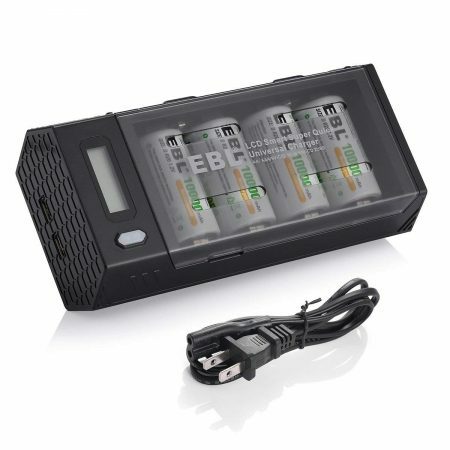 Batteris are made to contain high volume power without memory effect during charging.